Black diamond tennis bracelet is adorned with princess-cut black diamonds which are prong-set in a sleek straight 14K white gold row. 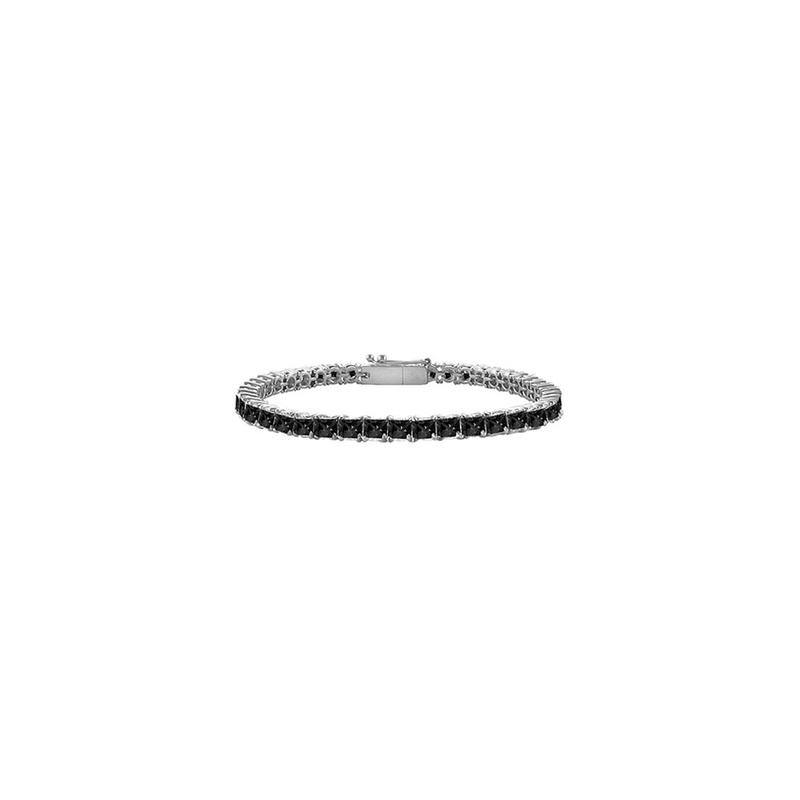 This tennis bracelet bears black diamonds 2.00 carat ((TDW) is secured with a safety clasp. This black diamond jewelry makes one exceptional piece of jewelry.